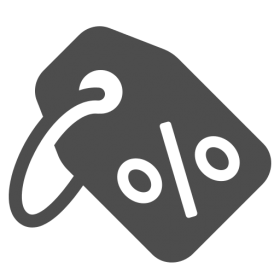 This addon will allow you to modify Quantity Discounts for products that are selected on the products.manage page. Decimal values are supported for percentages. I.e. you can use 22.375 as the Discount for a Percent whereas standard cs-cart only allows integer values (I.e. 22). Important: the Discount field in this addon when used with the Absolute($) Type behaves differently than the Quantity Discount ‘Value’ field in that it specifies the amount to reduce a product’s price rather than setting the price. You can create as many discount entries as you want. Just ensure that the Quantity and Usergroup pairs are unique for each entry. If not, the last one will override previous entries. The entries will be a applied to all selected products. A notification message will display stating the number of products affected as well as the number of prices applied to each. Leaving a Value blank will simply skip the record. Entering 0 (zero) for the value will cause that pricing to be deleted. • Quick way to update quantity discounts based on product search results..
• Supports decimal value for percentages. • Entering zero for a value will delete that Quantity/Usergroup combination.